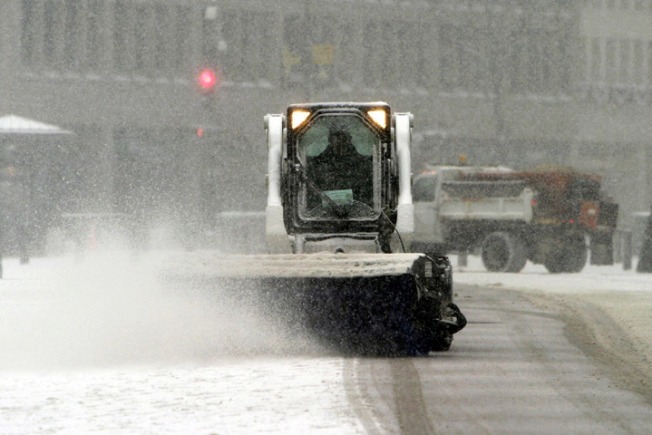 Indiana was whalloped by lake effect snow overnight and more is expected. Interstate 80/94 in Northwest Indiana reopened Tuesday morning after a night of roadway nightmares. Moderate to heavy lake effect snow continues to fall across Porter and eastern Lake counties in Northwest Indiana Tuesday morning. Snow could fall between 1 to 3 inches per hour, with much of the area accumulation totaling 2- to 4-inches. Local forecasters in Chicago are projecting in excess of 6 inches in some areas of the Hoosier state. Porter County and Michigan City got clobbered by snow and ice overnight, with multiple accidents reported as cars and trucks fishtailed across the interstate. Further east, roads were expected to get worse throughout the morning hours. A lake effect snow warning in effect Tuesday morning means significant amounts of lake effect snow are expected, causing very hazardous to impossible travel conditions. The forecast calls for a departure of the snowy system by late afternoon.